Be Known for Something : Discover Your Church Communication Thread / Communication Strategy / First Time Shooter. I had a brand new experience this week. Perhaps because I’m getting older, I don’t experience “new” things much. 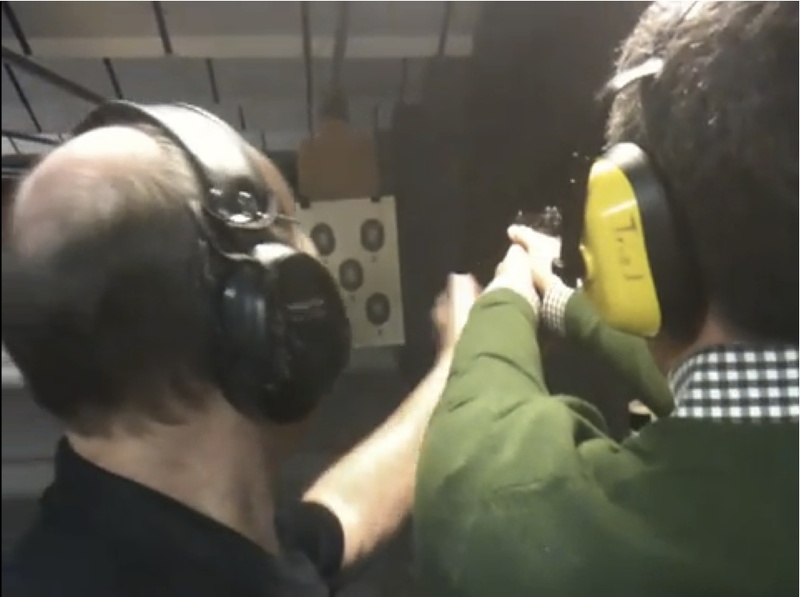 I had the opportunity to shoot a pistol at a shooting range. Most of you know that I’m a Canadian (eh!) and we’re not raised like a lot of Americans with lots of guns around us. In fact my Mother had negotiated with my Dad to get rid of his hunting guns before they would get married. I couldn’t believe how much fun I had! What’s the last thing you did that was totally new? Eating something (I just had a Krispy Kreme Bacon Burger at the Fair), doing something, or watching something? Now think of people who come to your church for the first time. Almost 30% of twenty-somethings say they don’t have a church home (and growing). So the possibility of a new person coming to any church for the first time is growing! You are ultra aware of things like no other time. You can remember the feelings, the smells, the experience. It’s important to know that visitors experience so much. Details matter. You ignore other things. Interestingly, the 2nd time you do something, you notice even more. The first time you only experience things closely associated with the “new” stuff. So what will be overlooked the first time? Ultimately, you won’t know. So, pay attention to all details. ProShots Shooting Range got it right. They had a clean, professional business that created a fun, educational atmosphere that was impressive. Be sure that people coming to your church for the first time, can experience what you’re known for. They’ll drink it in, want to return, and eventually experience God through you!